Living with a cat can be beneficial to children. Cats can enhance a child’s self-esteem, teach them responsibility and help them to learn empathy. Time and energy: Require a lot of time, patience and supervision. Safety: May become frightened or even injured by a well-meaning, curious child who wants to constantly pick him up, hug him, or explore his body by pulling on his tail or ears. Rough play: Young cats have sharp teeth and claws with which they may inadvertently injure a small child. All interactions between your child and young cat need to be closely supervised in order to minimize the chances of either being injured. Time and energy: Require less time once they’ve adjusted to your family and household routine. Safety: You can better gauge how hardy and tolerant an older cat will be of a child’s enthusiasm. You can also work with your local animal shelter to adopt a cat that has previously lived with children. As a general rule, if your child is under six years old, it’s best to adopt a cat that’s over two years old. Below are some guidelines to help you start off on the right foot. Remember to always supervise small children with your new cat. Holding: Have your child sit down whenever he wants to hold the cat. Keep in mind that some cats do not like to be held, but will sit next to you and your child, especially if offered treats or petting. Have your child sit in your lap and let the cat approach both of you. This way you can keep your child from getting “carried away” with pats that are too rough. Petting: Petting is a great way for your cat to make positive associations with your child. Teach your child to pet lightly and that the cat should always be allowed to leave when it feels like it. Treats: Treats are another great way for your cat to make good associations with your child. Have your child place the treat in an open palm, rather than holding it in his fingers. Play: Playing is a great way for your child and cat to positively interact with each other. Teach your child to play with your cat using toys, instead of hands, by either throwing a toy, like a mouse or ball, or by dangling a fishing pole toy. Training: Training is a great way to strengthen the bond between your cat and the family. Remember to be patient. Your new cat may take some time to feel comfortable around your child. Your cat also needs to learn which behaviors on his part are appropriate and which are not. Punishing your cat or kitten for inappropriate behavior will not help and is likely to make matters worse. If he learns that being around children always results in “bad things” happening to him, he may become defensive in their presence. If your cat is growling, hissing, or biting at your child for any reason, the situation needs IMMEDIATE attention. For additional information and resources, visit our website www.BrevardSheriff.com. Overweight cats are at a higher risk of health issues like diabetes, skin issues and arthritis. Being overweight also decreases the quality of a cat’s life. They are unable to thoroughly groom themselves all over, have trouble getting around, feel uncomfortable and may possibly be in pain. However, through diet and an active lifestyle, your cat can maintain a healthy weight and live a healthier life. Feeding your cat limited amounts of food anywhere from twice a day to several times a day is recommended to prevent your cat from excessive eating. Many owners are accustomed to free feeding, which involves leaving a pile of food out, especially when they have multiple cats. However, free feeding may increase the chance that your cat will overeat. Cats are not always the best judge when it comes to excessive eating. They may eat because they do not feel full or out of boredom. By managing how much your cat eats, you are able to keep an eye on your cat’s appetite. A change in appetite could be an indication of illness, and these changes can be hard to detect when your cat is free fed. New research has also shown that the activity level in cats increases with multiple small meals a day. An active cat is a healthy cat. Exercise helps maintain a healthy weight and can prevent issues that occur due to boredom, like overeating. Provide yourcat with plenty of toys, such as balls and furry mice, that they can bat around. There are also interactive toys that can be turned on when no one is home. However, the best form of play involves both you and your cat. By playing with your cat every day, you are ensuring that it receives the exercise it needs. Mental stimulation is also important to help your cat live a healthier life. By stimulating your cat’s mind, you can decrease boredom and prevent health and behavior problems from occurring. An aversive is something that your cat finds unpleasant. It can be used to discourage her from a particular action or place. Aversives by themselves however, rarely work. They are most effective when used as part of a behavior modification plan, where you teach your cat an appropriate, alternative behavior. Please experiment cautiously and sparingly when choosing an aversive, as individual responses will vary. One aversive that is mildly unpleasant for one cat may be terrifying for another and have no effect on yet another. The goal is to apply the aversive at a level that will cause your cat to avoid the action or place without becoming fearful, while working on teaching a pleasant alternative. Apply these textures to places you need your cat to avoid, and add toys or treats to appropriate places to make them more attractive. * Double-sided carpet tape – Sticky Paws® is a commercial version made especially for cats. You may need to weigh the aversive material firmly or tape it to keep it in place. To protect furniture or floor finishes from sticky substances, attach the material to a piece of foil or heavy plastic and secure that with weights or light tape. Easy-to-attach, commercial varieties of texture aversives are available from most pet supply stores. Apply these substances to places you need your cat to avoid, and add toys or treats to make appropriate places more attractive. Avoid placing scent aversives near the litter box, as it may cause your cat to stop using the litter box. Soak cotton balls, rags or washcloths in the “stinky” substance. To help protect carpets, upholstery, floors, or furniture, place the saturated object on a piece of weighted foil or heavy plastic. To prevent the substance from seeping into the plant soil, use the same precautions. Apply these substances to places where your cat’s mouth should not be, and offer an appropriate toy or treat instead. Some of these substances may damage furniture or floor finishes, so be sure to test them in a hidden location first. Except for hot sauce and cayenne pepper, these substances should be safe to apply to human skin; however, some individuals may be sensitive to them. These items can be used to keep your cat off items, like counters. They are activated by the cat’s behavior, so the owner need not be present to apply them. They are available at pet supply stores or easy to make at home. WARNING: For fearful cats, avoid using aversives. Aversives may do more harm than good! Also, remember to start out with the lowest level aversive first and experiment cautiously to see what works for your pet. FROM “THE LEADER OF THE PACK” to “the top dog,” plenty of simplistic metaphors come from the canine world. But relationships between canines can be pretty complex, beginning with the very first meeting. Like most animals who live in groups, dogs establish their own social structure, sometimes called a dominance hierarchy. This dominance hierarchy serves to maintain order, reduce conflict, and promote cooperation among pack members. Dogs also establish territories, which they may defend against intruders or rivals. Obviously, dogs’ social and territorial nature affects their behavior whenever a new dog is introduced to the household. Introduce the dogs in a neutral location so that your resident dog is less likely to view the newcomer as a territorial intruder. Each dog should be handled by a separate person. With both dogs on leashes, begin the introductions in an area unfamiliar to each, such as a park or a neighbor’s yard. If you frequently walk your resident dog in a nearby park, she may view that area as her territory, too, so choose a less familiar site. If you are adopting your dog from an animal shelter, you might even bring your resident dog to the local shelter and introduce the two there. From the first meeting, help both dogs experience “good things” when they’re in each other’s presence. Let them sniff each other briefly, which is normal canine greeting behavior. As they do, talk to them in a happy, friendly tone of voice; never use a threatening tone. (Don’t allow them to investigate and sniff each other for too long, however, as this may escalate to an aggressive response.) After a short time, get the attention of both dogs and give each a treat in return for obeying a simple command, such as “sit” or “stay.” Take the dogs for a walk and let them sniff and investigate each other at intervals. Continue with the “happy talk,” food rewards, and simple commands. One body posture that indicates things are going well is a “play-bow.” One dog will crouch with her front legs on the ground and her hind end in the air. This is an invitation to play, and a posture that usually elicits friendly behavior from the other dog. Watch carefully for body postures that indicate an aggressive response, including hair standing up on one dog’s back, teeth baring, deep growls, a stiff- legged gait, or a prolonged stare. If you see such postures, interrupt the interaction immediately by calmly getting each dog interested in something else. For example, both handlers can call their dogs to them, have them sit or lie down, and reward each with a treat. The dogs’ interest in the treats should prevent the situation from escalating into aggression. Try letting the dogs interact again, but this time for a shorter time period and/or at a greater distance from each other. When the dogs seem to be tolerating each other 's presence without fearful or aggressive responses and the investigative greeting behaviors have tapered off, you can take them home. Whether you choose to take them in the same vehicle will depend on their size, how well they ride in the car, how trouble-free the initial introduction has been, and how many dogs are involved. If you have more than one resident dog in your household, it may be best to introduce the resident dogs to the new dog one at a time. Two or more resident dogs may have a tendency to gang up on the newcomer. It is important to support the dominant dog in your household, even if that turns out to be the newcomer. This may mean, for example, allowing the dominant dog to claim a favored sleeping spot as his or to have access to a desirable toy. Trying to impose your preference for which dog should be dominant can confuse the dogs and create further problems. Puppies usually pester adult dogs unmercifully. Before the age of four months , puppies may not recognize subtle body postures from adult dogs signaling that they've had enough . Well-socialized adult dogs with good temperaments may set limits with puppies with a warning growl or snarl. These behaviors are normal and should be allowed. Adult dogs who aren't well socialized , or who have a history of fighting with other dogs, may attempt to set limits with more aggressive behaviors , such as biting, which could harm the puppy. For this reason, a puppy shouldn't be left alone with an adult dog until you're confident the puppy isn't in any danger. Be sure to give the adult dog some quiet time away from the puppy and some extra individual attention as well. If the introductions don't go smoothly, contact a professional animal behaviorist immediately. Dogs can be severely injured in fights , and the longer the problem continues, the harder it can be to resolve. Punishment won't work and could make things worse. Fortunately, most conflicts between dogs in the same family can be resolved with professional guidance. For complete tips and advice on pet behavior and other pet care topics, visit www.petsforlife.org. Adapted from material originally developed by applied animal behaviorists at the Dumb Friends League, Denver, Colorado. ©2000 Dumb Friends League and ©20 0 3 The HSUS. All rights reserved. We don’t fully understand why some dogs suffer from separation anxiety and, under similar circumstances, others don’t. It’s important to realize, however, that the destruction and house soiling that often occur with separation anxiety are not the dog’s attempt to punish or seek revenge on his owner for leaving him alone. In reality, they are part of a panic response. when he’s left alone. He follows you from room to room whenever you’re home. to your preparations to leave the house. He dislikes spending time outdoors by himself. Leave your dog with an article of clothing that smells like you—such as an old t-shirt that you’ve slept in recently. Establish a “safety cue”—a word or action that you use every time you leave that tells your dog you’ll be back. Dogs usually learn to associate certain cues with short absences by their owners. For example, when you take out the garbage, your dog knows you come right back and doesn’t become anxious. Therefore, it’s helpful to associate a safety cue with your short-duration absences. Some examples of safety cues are a playing radio, a playing television, or a toy (one that doesn’t have dangerous fillings and can’t be torn into pieces). Use your safety cue during practice sessions with your dog. Be sure to avoid presenting your dog with the safety cue when you leave for a period of time longer than he can tolerate; if you do, the value of the safety cue will be lost. Leaving a radio on to provide company for your dog isn't particularly useful by itself, but a playing radio may work if you've used it consistently as a safety cue in your practice sessions. If your dog engages in destructive chewing as part of his separation distress , offering him a chewing item as a safety cue is a good idea. Very hard rubber toys that can be stuffed with treats and Nylabone®-like products are good choices. go to the door and open it, then sit back down. Next, step outside the door, leaving the door open, then return. Finally, step outside , close the door, then immediately return. Slowly get your dog accustomed to being alone with the door closed between you for several seconds. Proceed very gradually from step to step , repeating each step until your dog shows no signs of distress. The number of repetitions will vary depending on the severity of the problem. If at any time in this process your actions produce an anxiety response in your dog, you've proceeded too fast. Return to an earlier step in the process and practice this step until the dog shows no distress response, then proceed to the next step . Once your dog is tolerating your being on the other side of the door for several seconds, begin short-duration absences. This step involves giving the dog a verbal cue (for example, ''I'll be back"), leaving, and then returning within a minute. Your return must be low-key: Either ignore your dog or greet him quietly and calmly If he shows no signs of distress, repeat the exercise . If he appears anxious, wait until he relaxes to repeat the exercise. Gradually increase the length of time you're gone . Practice as many absences as possible that last less than 10 minutes. You can do many departures within one session if your dog relaxes sufficiently between departures. You should also scatter practice departures and short-duration absences throughout the day. Once your dog can handle short absences (30-90 minutes), he'll usually be able to handle longer intervals alone, and you won 't have to repeat this process every time you are planning a longer absence. The hard part is at the beginning , but the job gets easier as you go along . Nevertheless, you must go slowly at first. How long it takes to condition your dog to being alone depends on the severity of his problem. Another technique for reducing separation anxiety in your dog is practicing the common "sit-stay" or "down-stay" training exercises using positive reinforcement . Your goal is to be able to move briefly out of your dog's sight while he remains in the "stay" position and thereby teach your dog that he can remain calmly and happily in one place while you go to another. To do this, you gradually increase the distance you move away from your dog. As you progress , you can do this during the course of your normal daily activities. For example, if you're watching television with your dog by your side and you get up for a snack, tell him to stay, and leave the room. When you come back, give him a treat or praise him quietly Never punish your dog during these training sessions. Consult your veterinarian about the possibility of drug therapy. A good anti-anxiety drug should not sedate your dog, but simply reduce his anxiety while you're gone. Such medication is a temporary measure and should be used in conjunction with behavior modification techniques. Getting another pet as a companion for your dog. This usually doesn't help an anxious dog because his anxiety is the result of his separation from you, his person, not merely the result of being alone. Crating your dog. Your dog will still engage in anxiety responses in the crate. He may urinate , defecate , howl , or even injure himself in an attempt to escape from the crate . Leaving the radio on (unless the radio is used as a "safety cue," as described above). Training your dog. While formal training is always a good idea, it won't directly help a separation anxiety problem . Separation anxiety is not the result of disobedience or lack of training; it's a panic response. If your family already includes a pet, you’ll need to help that first “baby” adjust to the new one you’ll soon bring home. You can help your pet cope with this big change in much the same way parents help children understand that a new brother or sister will be joining the family. By following the tips below, you can ease your pet’s stress, help her welcome your new baby, and ensure that your pet stays where she belongs—with you and your growing family. If you’re pregnant, you’ve probably heard of toxoplasmosis because it can cause serious birth defects. However, toxoplasmosis is a rare disease in the United States and one that can easily be avoided. While the disease- causing parasite can be found in the feces of cats who ingest raw meat, birds, mice, or contaminated soil, toxoplasmosis is more commonly found in uncooked or undercooked meat. Keep your cat safely indoors and away from wildlife. Have someone else clean the litter box daily. No matter how much you plan ahead, the addition of a new family member may be difficult for your pet. Remember, your dog or cat was your first “baby” and is used to being the center of your attention. So it’s understandable that she may experience something akin to sibling rivalry when you introduce a new human baby into your household. Below are several suggestions to make introducing your pet and baby safer and smoother for all. Be sure to carry out these changes months before the baby's arrival to best prepare your pet. Spay or neuter your pet . Not only do sterilized pets typically have fewer health problems associated with their reproductive systems, but they are also calmer and less likely to bite. Consult with a veterinarian and pediatrician if the thought of your newborn interacting with the family pet makes you uncomfortable. By working with these experts before your baby is born , you can resolve problems early and put your mind at ease. If your pet's behavior includes gentle nibbling, pouncing, or swatting at you and others , redirect that behavior to appropriate objects. Train your pet to remain calmly on the floor beside you until you invite him on your lap, which will soon cradle a newborn. Consider enrolling in a training class with your dog, and practice training techniques. Training allows you to safely and humanely control your dog 's behavior and enhances the bond between you and your pet. To discourage your pet from jumping on the baby's crib and changing table, apply double-sided carpet tape to the furniture. If the baby 's room will be off-limits to your pet , install a sturdy barrier such as a removable gate (available at pet or baby supply stores) or, for jumpers , even a screen door. Because these barriers still allow your pet to see and hear what's happening in the room , he'll feel less isolated from the family and more comfortable with the new baby noises. Talk to your pet about the baby, using the baby's name if you've selected one. Finally, plan ahead to make sure your pet gets proper care while you're at the birthing center. Welcoming a new baby is exciting for your family. Remember when you first brought home your dog or cat? But before you bring your baby home from the hospital , have your partner or friend take home something with the baby's scent (such as a blanket) for your pet to investigate. When you return from the hospital, your pet may be eager to greet you and receive your attention . Have someone else take the baby into another room while you give your pet a warm, but calm, welcome . Keep some treats handy so you can distract your pet. After the initial greeting, you can bring your pet with you to sit next to the baby; reward your pet with treats for appropriate behavior . Remember, you want your pet to view associating with the baby as a positive experience . To prevent anxiety or injury, never force your pet to get near the baby, and always supervise any interaction . Life will no doubt be hectic caring for your new baby, but try to maintain regular routines as much as possible to help your pet adjust. And be sure to spend one-on-one quality time with your pet each day-it may help relax you , too . With proper training, supervision , and adjustments, you , your new baby, and your pet should be able to live together safely and happily as one (now larger) family. Practical uses: Stays are useful when you need your dog to be still while you do something else. They can also help to teach your dog self-control and independence. Start in a low-distraction area that is familiar to your dog, and have your dog on leash. You can stand on the end of your leash or tether him to something heavy if you want to have your hands free. Wait for the dog to sit, and when he does, click and treat (C/T). In this case, it is best to throw the treat on the floor so that the dog has to stand up to get the treat (make sure he sees it). Wait again for the dog to sit, and C/T when he does. Start in a quiet place with few or no distractions. “Stay” begins as an extended sit (see "Teaching Your Dog to 'Sit'"). Stand directly in front of your dog and give the sit cue; gradually increase the time before you click and treat (C/T). Throw the treat so that the dog must get up to retrieve it. Do not step away from your dog — stay within a foot of your dog until he can remain in the stay position for at least 30 seconds at least nine out of ten times that you ask him to. Begin using the cue word “stay” right after you say "sit." Take one step away from the dog (remain facing him) and after two seconds step back to your original position and C/T (always throw the treat so that the click also acts as a “release,” giving permission to the dog to get up out of the stay). Again gradually increase the time before you C/T to 30 seconds, never moving more than one step from your dog. You should also begin using a release word, like “okay” or “free” as you throw the treat. If the dog breaks his stay, gently return him to the original spot, then C/T for a shorter stay (i.e, if he broke at ten seconds, be sure to C/T at six or seven seconds this time). Make sure he “succeeds” (doesn’t break his stay) at least five more times before you begin increasing the time again. The idea is to have lots of successful stays that can be rewarded and few breaks, which are not rewarded. When your dog has learned to stay with you close by, you can gradually begin to increase the distance you move away from him; but when you increase distance, decrease time! For example, you might gradually increase the length of the stay to 30 seconds when you are one step away. Then take two steps away, but C/T after five seconds, and gradually build to 30 seconds before increasing the distance again. Take it slow! Always return to the dog to C/T or release from the stay. DO NOT call your dog to you out of a “stay” as this teaches him that breaking the stay gets rewarded. Progress to moving around a bit (not always directly in front of the dog) while the dog is staying and then returning to stand beside the dog for varying lengths of time before you C/T him. Work on longer duration stays (up to three minutes) of short distances. Variable Schedule of Reinforcement – for shorter duration/distance stays that the dog is doing reliably, start a variable schedule of reinforcement. As you increase time and or distance, C/T on a continuous schedule for the more difficult behaviors. When on a continuous schedule of reinforcement, the click is the release. Once you go to a variable reinforcement you will need to use your release cue to let the dog know when he may get up out of the stay position. Remember to always return to the dog before you release him. Once your dog is performing the behavior reliably on cue to your satisfaction (i.e., he will stay for two minutes at a distance of 20 feet, or whatever criteria you set, at least 90% of the time) on a variable schedule of reinforcement, you don’t really need the clicker any more for this behavior. You should still reward your dog often and variably with praise and/or a food treat, but you don’t need the clicker any more -- until you’re ready to teach a new behavior! Once your dog is performing the stay at the time and distance you require, you can start to add distractions. While the dog is on a stay, bounce a ball, ring the doorbell, or have someone run by. When you first add distractions, be sure to make the other elements of the stay -- time and distance --easier; for example, stand very close to the dog and C/T immediately after the distraction if the dog holds the stay. If you have been training in a quiet location with few distractions, start practicing in locations with more distractions. If possible, increase the environmental distractions gradually. So if you have been training in your living room, move to the back yard, then the front yard, then a quiet park, then a busier park. And as always, make it easier for the dog to succeed (shorten time and distance criteria) when the environmental distractions are more difficult. Practical uses: Have your dog sit before you set down his food dish, put on his leash, let him out the door, pet him, etc. This concept is called “say please” and can help to prevent many common problems such as door-darting, jumping up on people, and pestering for attention. It also helps him learn that doing what you ask is always the best choice and the fastest way of getting what he wants. When in doubt, SIT! This stops whatever inappropriate behavior he may be engaged in. When the dog is offering the behavior (sitting and looking to you in anticipation of the C/T), begin saying the cue word “sit” as she sits, so the dog associates the behavior with the word. Do this about 20 times over two different training sessions. In your next training session, start by saying the cue word as the dog sits. After a few repetitions, say the cue word before she sits. Now you have a cue! Variable Schedule of Reinforcement – you have been using a “continuous schedule of reinforcement” which means the dog gets a treat every time he performs the behavior. Now you’re ready to move to a variable schedule of reinforcement, meaning he only gets a treat sometimes. Only C/T every third, sixth, second, fourth, or tenth time he performs the behavior. Once your dog is performing the behavior reliably on cue (i.e., he will do the behavior at least 90% of the time when you give the verbal cue) on a variable schedule of reinforcement, you don’t really need the clicker any more for this behavior. You should still reward your dog often and variably with praise and food treats, but you don’t need the clicker any more -- until you’re ready to teach a new behavior! If he sits only part way down the first time, you may “shape” his behavior by rewarding him for a partial sit the first few times, then not rewarding him until he moves successively closer to a full sit. Some breeds, such as greyhounds, don’t sit readily. If your dog doesn’t like the sit position, you may want to substitute another stationary position, such as down. Practical uses: “Leave it” is useful when you want your dog to stop doing something, whether that is sniffing at someone or something, barking or licking. The dog should immediately stop whatever she is doing and look to you for a reward. Put a treat in your closed hand, making sure she sees the treat; then put your closed fist near her. She will sniff and lick your hand. Keep your hand still, and do not pull your hand away from the dog. As soon as she pulls her nose back, click and treat (C/T), giving her a treat from your other hand. The value of the treat you give the dog should be equal to or higher than the treat you are holding in your fist. When the dog starts offering the behavior – i.e., when presented with your closed fist, she pulls her head back, or does not sniff at your hand -- you can begin to use a cue word like “leave it” so that the dog associates the behavior with the word. Do this about 20 times over two different training sessions. In your next training session, start by saying the cue word as you offer your closed fist. Now you have a cue! When your dog is reliable at leaving the treat in your hand, try the exercise with the treat on a chair. Cover the treat with your hand if she tries to take it. Remember to reward from the other hand. Next try the exercise with the treat on the floor. Cover the treat with your foot if she tries to take it. Definition: "Drop whatever is in your mouth, and I’ll give you something even better!" Practical uses: “Drop it” is useful when your dog picks up something in his mouth that he shouldn’t have – your shoe, your child’s favorite toy, or a chicken bone, for example. It’s also useful for those dogs that grab the leash in their mouths when being walked and for those mouthy dogs that want to grab at your hands, arms and clothing in play. Many dogs learn that when their owner is yelling “drop it” they are going to be deprived of the goodie they have in their mouths, so they will gulp it down faster. It is imperative that, to your dog, this command means he has a chance to get something even better, so he will willingly let go of the forbidden object. This could even mean the difference between life and death for your dog. Give your dog a toy or chewie. You want to start with something your dog is interested in having in his mouth, but not a really high-value item that he is not going to want to give up. Wait for him to drop the item and, when he does, click and treat (C/T), and pick up the item. You may want to throw the treat a few feet away so he is busy getting the treat and doesn’t try to grab for the item at the same time you do. Give the item back to the dog and repeat 10-12 times. Begin saying your cue word, “drop it,” as the dog drops the toy. Continue for two to three more sessions of 10-12 C/Ts. In your next session, use the “drop it” cue just before the dog drops the item. C/T when the dog drops the item. Once your dog is performing the behavior on cue, you can start using a higher value item -- for some dogs that might be a raw hide, a tennis ball, or a bone. For dogs that love to play fetch, the reward for “drop it” can be throwing the ball or toy. Variable Schedule of Reinforcement – you have been using a “continuous schedule of reinforcement” which means the dog gets a treat every time he performs the behavior. Now you’re ready to move to a variable schedule of reinforcement, meaning he only gets a treat sometimes. Only C/T every third, sixth, second, fourth, or tenth time he performs the behavior. Do, however, return the item to the dog every time (except the last time when you end the session — make sure he gets a C/T for that one!). Once your dog is performing the behavior reliably on cue (i.e., he will do the behavior at least 90% of the time when you give the verbal cue) on a variable schedule of reinforcement, you don’t really need the clicker any more for this behavior. You should still reward your dog often and variably with praise and a food treat, but you don’t need the clicker any more -- until you’re ready to teach a new behavior. Definition: Rather than teach the dog to “not” do something, we will ask him to do something he knows how to do that is incompatible with jumping up on you or someone else. You may use “sit” or “touch” or some other behavior as your alternate incompatible behavior. Your dog must have the alternate behavior on cue in order to do this. Practical uses: Use when your dog is jumping up on you or on someone else. Using sit as the alternate, incompatible behavior: when your dog starts to jump up, give your cue, “sit.” Click and treat (C/T) when the dog sits. If the dog jumps up and does not sit, stand still and wait. Do not repeat the command. Wait for the dog to sit, and C/T when he does. You may want to toss the treat on the floor so the dog gets up and you have another chance to give the “sit” cue. Practicing with other people: Hold your dog’s leash or put him on the tether. Be sure you do not pull on or put tension on the leash. Have another person approach your dog. As the person gets within the dog’s range, say “sit.” Click and have the person treat. If the dog jumps up and does not sit, have the person stand still and wait. Do not repeat the command. Wait for the dog to sit — click and have the person give the treat. Using “touch” as the alternate, incompatible behavior: when your dog starts to jump up, give your verbal cue and your hand signal for “touch.” C/T when the dog touches his nose to your hand. If the dog jumps up and does not “touch,” stand sill and wait with your hand extended. Do not repeat the command. Wait for the dog to touch, and C/T when he does. Practicing with other people: hold your dog’s leash or put him on the tether. Be sure you do not pull on or put tension on the leash. Have another person approach your dog. As the person approaches, have them present their hand and say “touch.” Click and have the person treat. If the dog jumps up and does not touch, have the person stand still and wait, keeping the target hand extended. Do not repeat the command. Wait for the dog to “touch.” Click and have the person give the treat. What you are working toward is having your dog offer your chosen alternative, incompatible behavior whenever he is approached by someone, without even having to give a verbal cue. In other words, the “cue” becomes the approach ofa human. This requires consistency on the part of every person approaching the dog, so you need to enlist the help of all friends, family members and guests that interact with the dog. Variable Schedule of Reinforcement – stick with a continuous schedule of reinforcement for the initial approach. You can have the person toss the treat and then ask for the behavior several more times, rewarding on a variable schedule of reinforcement. When a dog jumps up on you, he wants your attention; remember that HE IS RECEIVING ATTENTION if you push him away, knee him in the chest, or step on his hind feet and is, therefore, being rewarded for jumping up (he is getting what he wants). When the dog realizes that he gets NO attention from you while he is jumping up, but does get rewarded when he stops jumping up and sits or targets, he will stop jumping up and begin to offer the alternate behavior. If the dog jumps up, do not turn away, just stand still and wait for the dog to offer the alternate behavior. Be patient and persistent; often the dog has been successful in getting attention by jumping up for quite some time, and it may take him a while to learn that this method no longer works. Be consistent. Every member of the household and everyone who enters the house MUST practice this technique with the dog. Remember that once you have taught him to come and sit quietly for attention, you must reward this behavior. Be careful not to ignore him when he comes and sits politely waiting for a reward. Puppies explore their world by putting things in their mouths. In addition, puppies are teething until they’re about 6 months old, which usually causes them some discomfort. Chewing not only facilitates teething, but also makes sore gums feel better. While it is perfectly normal for puppies to chew on furniture, shoes, and shrubbery, these behaviors can be a problem for you and your puppy will not magically “outgrow” this behavior as he matures. However, by shaping your puppy’s behavior and teaching him which objects are acceptable chew toys and which are not, you are able to minimize chewing problems past 6 months of age. Minimize chewing problems by puppy-proofing your house. Put the trash out of reach inside a cabinet or outside on a porch, or buy containers with locking lids. Encourage children to pick up their toys and don’t leave socks, shoes, eye glasses, briefcases, cell phones, or TV remote controls lying around within your puppy’s reach. If, and only if, you actually catch your puppy chewing on something he shouldn’t, interrupt the behavior with a loud noise, then offer him an acceptable chew toy instead. Play with him lavishly when he takes the toy in his mouth. Make unacceptable chew items unpleasant to your puppy. Furniture and other items can be sprayed with Bitter Apple or other taste aversives to make them unappealing. Don’t give your puppy objects to play with that can cause confusion, such as old socks, old shoes, or old children’s toys that closely resemble items that are off limits. He cannot tell the difference! Closely supervise your puppy. Don’t give him the chance to go off by himself and get into trouble. Use baby gates, close doors, or tether him to you with a six-foot leash so you can keep an eye on him. When you must be gone from the house, confine your puppy to a small, safe area, such as a laundry room. You may also begin to crate train your puppy. Puppies under 5 months of age should not be crated for longer than four hours at a time, as they may not be able to control their bladder and bowels longer than that. Make sure your puppy is getting adequate physical activity. Puppies left alone in a yard do not play by themselves. Take your puppy for walks and /or play a game of fetch with him as often as possible. Your puppy learns what is appropriate in the house when he is in the house with you, so give your puppy plenty of people time. Provide your puppy with many appropriate toys. Never discipline or punish your puppy after-the-fact. If you discover a chewed item even minutes after he’s chewed it, you’re too late to administer a correction. Animals associate punishment with what they’re doing at the time they’re being punished. Dog and puppies cannot reason that, “I tore up those shoes an hour ago and that’s why I’m being scolded now.” Some people believe this is what a puppy is thinking because he runs and hides or because he “looks guilty.” Guilty looks are canine appeasing postures that dogs show when they feel threatened. When you’re angry and upset, the puppy feels threatened by your tone of voice, body postures, and/or facial expressions, so he may hide or show appeasing postures. Punishment after-the-fact will not only fail to eliminate the undesirable behavior, but could provoke other undesirable behaviors, such as aggression or fear. Although most destructive chewing by puppies is normal behavior, some puppies may exhibit destructive behavior for the same reasons as adult dogs. Examples include separation anxiety, fear-related behaviors, and attention-getting behavior. 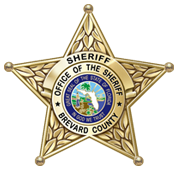 Visit our website at www.BrevardSheriff.com for more resources. Housetraining a puppy requires time, vigilance, patience and commitment. By following the procedures outlined below, you can minimize house soiling incidents, but virtually every puppy will have an accident in the house (more likely several). This is part of raising a puppy and should be expected. The more consistent you are in following the basic housetraining procedures, the faster your puppy will learn acceptable behavior. It may take several weeks to housetrain your puppy and with some of the smaller breeds it might take longer. A puppy can usually be considered reliably housetrained when it has not had any accidents for two to three months. Your puppy will do best if he is taken outside on a consistent and frequent schedule. He should have the opportunity to eliminate after waking up from a nap, after playing, and after eating. Choose a location not too far from the door to be the bathroom spot. Always take your puppy, on a leash, directly to the bathroom spot. Taking him for a walk or playing with him directly after he has eliminated will help him to associate good things with elimination. If you clean up an accident in the house, take the soiled rags or paper towels and leave them in the bathroom spot. The smell will help your puppy recognize the area as the place he is supposed to eliminate. While your puppy is eliminating, use a word or phrase, like “go potty”, that you can eventually use before he eliminates to remind him what he’s supposed to be doing. Praise your puppy lavishly every time he eliminates outdoors. You can even give him a treat. You must praise him or treat him immediately after he’s finished eliminating, not after he comes back inside the house. This step is vital; because rewarding your puppy for eliminating outdoors is the only way he’ll know that this is an appropriate behavior. If possible, put your puppy on a regular feeding schedule. Depending on their age, puppies usually need to be fed three or four times a day. Feeding your puppy at the same times each day will make it more likely that he’ll eliminate at consistent times as well. This makes housetraining easier, for both of you. Don’t give your puppy an opportunity to soil in the house. He should be watched at all times when he is indoors. You can tether him to you with a leash or use baby gates to keep him in your view. Watch for signs that he needs to eliminate, like sniffing around or circling. When you see these signs, immediately take him outside, on a leash, to his bathroom spot. If he eliminates, praise him lavishly and reward him with a treat. When you’re unable to watch your puppy closely, he should be confined to an area small enough that he won’t want to eliminate there. It should be just big enough for him to comfortably stand, lie down, and turn around. This area could be a portion of a bathroom or laundry room, blocked off with boxes or baby gates. Or you may want to crate train your puppy and use the crate to confine him (see our handout: “Crate Training Your Dog”). If your puppy has spent several hours in confinement, make sure to take him out directly to his bathroom spot before doing anything else. Expect your puppy to have an accident in the house – it’s a normal part of housetraining. When you catch him in the act of eliminating in the house, do something to interrupt him, like make a startling noise (be careful not to scare him). Immediately take him to his bathroom spot, praise him, and give him a treat if he finishes eliminating there. Don’t punish your puppy for eliminating in the house. If you find a soiled area, it’s too late to administer a correction. Do nothing but clean it up. Rubbing your puppy’s nose in it, taking him to the spot, and scolding him (or any other punishment or discipline) will only make him afraid of you or afraid to eliminate in your presence. Animals don’t understand punishment after the fact, even if it’s only seconds later. Punishment will do more harm than good. It’s extremely important that you use the supervision and confinement procedures outlined above to minimize the number of accidents. If you allow your puppy to eliminate frequently in the house, he’ll get confused about where he’s supposed to eliminate, which will prolong the housetraining process. A puppy under 6 months of age cannot be expected to control his bladder for more than a few hours at a time. If you have to be away from home for more than four or five hours a day, this may not be the best time for you to get a puppy. If you’re already committed to having a puppy and have to be away from home for long periods of time, you’ll need to train your puppy to eliminate in a specific place indoors. Be aware, however that doing so can prolong the process of teaching him to eliminate outdoors. Teaching your puppy to eliminate on newspaper may create a life-long surface preference, meaning that he may, even in adulthood, eliminate on any newspaper he finds lying around the house. When your puppy must be left alone for long periods of time, confine him to an area with enough room for a sleeping space, a playing space, and a separate place to eliminate. In the area designated as the elimination place, you can either use newspapers, a sod box, or litter. To make a sod box, place sod in a container, like a child’s small, plastic swimming pool. You can also find dog litter products at pet supply stores. If you clean up an accident in the house, take the soiled rags or paper towels, and put them in the designated elimination place. The smell with help your puppy recognize the area as the place where he is supposed to eliminate. If you’ve consistently followed the housetraining procedures and your puppy continues to eliminate in the house, there may be another reason for his behavior. Medical Problems: House soiling can often be caused by physical problems, such as a urinary tract infection or a parasite infection. Check with your local veterinarian to rule out any possibility of disease or illness. Fearful/Excitement Urination: Some dogs, especially young ones, temporarily lose control of their bladders when they become excited or feel threatened. This usually occurs during greetings, intense play, or when they’re about to be punished. Urine-Marking: Dogs sometimes deposit urine or feces, usually in small amounts, to scent-mark. Both male and female dogs do this, and it most often occurs when there is instability in their relationships. Separation Anxiety: Dogs that become anxious when they’re left alone may house soil as a result. Usually, there are other symptoms, such as destructive behavior or vocalization. Fears or Phobias: When animals become frightened, they may lose control of their bladder and/or bowels. If your puppy is afraid of loud noises, such as thunderstorms or fireworks, he may house soil when he’s exposed to these sounds). Visit our website at www.BrevardSheriff.com for more resources. FOR SOME PEOPLE, the phrase “top dog” isn’t just a saying. It actually describes their dogs. If you’ve got a dog who likes to boss you (or others) around, chances are you’ve got a dominance aggression problem in your household—a problem that could endanger you, your family, and others. Most dogs assume a neutral or submissive role toward people, but some dogs will challenge their owners for dominance. A dominant dog may stare, bark, growl, snap, or even bite when you give him a command or ask him to give up a toy, treat, or resting place. Sometimes even hugging, petting, or grooming can be interpreted as gestures of dominance and, therefore, provoke a growl or snap—and this is true even though your dog may still be very affectionate and often solicit petting and attention from you. To understand why your dog behaves in these ways, it’s important to know some things about canine social systems. Animals who live in social groups, including wolves and domestic dogs, establish a social structure called a dominance hierarchy within their group. This hierarchy serves to maintain order, reduce conflict, and promote cooperation among group members. A position within the dominance hierarchy is established by each member of the group, based on the outcomes of interactions between themselves and the other pack members. The more dominant animals can control access to valued items such as food, den sites, and mates. For domestic dogs, valued items might be food, toys, sleeping or resting places, and attention from their owners. Won’t move out of your way when required. Nudges your hand, mouths your arm, or insists on being petted or played with—in other words, he “orders” you to obey. Defends food, toys, or other objects from you. Growls or bares teeth under any circumstances. Resists handling by you, the veterinarian, or the groomer. Gets up on furniture without permission and won’t get down. If you recognize the beginning signs of dominance aggression in your dog, consult an animal-behavior specialist immediately. Avoid using any form of physical punishment on your dog. Getting physical with a dominant dog may cause the dog to intensify his aggression, posing the risk of injury to you. Avoid situations that bring out the aggressive behavior . are present. Use a head halter or muzzle to help control your dog when you're outdoors. Brand names of head halters include Gentle Leader, Promise Collar, or Haiti. When you're indoors with your dog , control access to parts of the home by using baby gates or by crating your dog . You can also use a cage-type muzzle, head halter, or leash for control purposes-but do so only when you can closely supervise your dog. Dominance aggression problems are unlikely to go away without your taking steps to resolve them . Because dominant-aggressive dogs can be potentially dangerous, treatment of dominance aggression problems should always be supervised by an animal behavior specialist. Spay or neuter your dog to reduce hormonal contributions to aggression . Understand that after a mature animal has been spayed or neutered, it may take time for those hormones to clear from the body. In some cases , longstanding behavior patterns may continue even after the hormones or other causes no longer exist. Use a training technique called "Nothing in Life Is Free" to establish your leadership in a safe, nonconfrontational way. This technique requires your dog to "work" for everything he gets from you. Have your dog obey at least one command (such as "sit") before you pet him , give him dinner, put on his leash, or throw him a toy. If your dog doesn't know any commands or doesn 't perform them reliably, you'll first have to teach him, using positive reinforcement techniques , and practice with him daily. don 't allow begging . Don 't play "tug-of-war," wrestle , or play roughly with your dog . Ignore barking and jumping up. Don't allow your dog on the furniture or your bed unless invited to do so by you, because this is a privilege reserved for leaders . If your dog growls or snaps when you try to remove him from the furniture , use a treat to lure him off. therapy, or drug therapy. Your veterinarian may prescribe the temporary use of medication to be used in conjunction with behavior modification. Consider enrolling your dog in a training class. This may help establish a relationship between you and your dog in which you give commands and he obeys them. Be sure to choose a trainer who uses positive reinforcement methods. Understand that obedience classes alone won't necessarily prevent or reduce dominance aggression. From your dog 's point of view, children , too , have a place in the dominance hierarchy. Because children are smaller and get down on the dog 's level to play, dogs often consider them to be playmates rather than superiors. Small children and dogs should never be left alone together without adult supervision. Older children should be taught how to play and interact appropriately and safely with dogs. Under no circumstances , however , should a child be left alone with a dog who has displayed signs of aggression . To mark their territory by leaving both a visual mark and a scent - they have scent glands on their paws. You must provide objects for scratching that are appealing, attractive, and convenient from your cat’s point of view. Start by observing the physical features of the objects your cat is scratching. We strongly discourage cat owners from having their cats declawed. Scratching is a natural behavior and instinct for cats and can be directed to appropriate items, such as a cat scratching post. Without the ability to claw, your cat may develop behavior problems that you have not previously experienced. However, if you feel that you must either declaw or give up your cat, we would rather see your cat stay in your home and be your lifelong companion. If you do decide to have your cat declawed, we suggest you have the surgery done at the same time she’s spayed (or neutered if your cat is a male), that you only declaw the front paws, and that you always keep your cat indoors. It is normal for dogs to explore the world with their mouths. However, chewing can be directed into appropriate items so your dog is not destroying items you value. Until he has learned what he can and cannot chew, it is your responsibility to manage the situation as much as possible, so he doesn’t have the opportunity to chew on unacceptable objects. Take responsibility for your own belongings. If you don’t want it in your dog’s mouth, don’t make it available. Keep clothing, shoes, books, trash, eyeglasses, cell phones, and remote controls out of your dog’s reach. Don’t confuse your dog by offering him shoes and socks as toys and then expect them to distinguish between his shoes and yours. Your dog’s toys should be obviously different from household goods. Until he learns, confine him when you are unable to keep an eye on him. Choose a “safe place” that is dog proof with fresh water and “safe” toys. If your dog is crate trained, you may also crate him for short periods of time (see our handout: “Crate Training Your Dog”). Take your dog to an obedience class to teach him important commands, like “leave it.” Classes may have the added benefit of reducing destructive behavior because they will help your dog burn off excess. You can also do basic training at home, using clicker training. If, and only if, you actually catch your dog chewing on something he shouldn’t, interrupt the behavior with a loud noise and offer him an acceptable chew toy instead. Play with him when he takes the toy in his mouth. Have realistic expectation. It is highly likely that your dog will, at some point, chew up something you value. This is often part of the transition to a new home. Dogs will engage in destructive behavior for a variety of reasons. In order to deal with the behavior, you must first determine why your dog is being destructive. Normal play behavior can result in destruction, as it may involve digging, chewing, shredding, and/or shaking toy-like objects. Since dogs investigate objects by pawing at them and exploring them with their mouth, they may inadvertently damage items in their environment. He’s left alone for long time periods without opportunities for interaction with you or other family members. He’s a puppy or adolescent (under 3 years old) and he doesn’t have other outlets for his energy. Go for a walk. Walks should be more than just “bathroom time.” On-leash walks are important opportunities for you and your dog to be together. Don’t forget to allow time for sniffing, exploring, instruction, and praise. Increase your dog’s opportunities for mental stimulation. Teach your dog a few commands and/or tricks using clicker training and practice them daily. Take an obedience class. Consider the various types of toys that can be stuffed with food. Putting tidbits of food inside chew toys focuses your dog’s chewing activities on these toys instead of unacceptable objects. Make your dog’s favorite off-limits chew objects unattractive to him by covering them with heavy plastic, aluminum foil, hot pepper sauce, or a commercial ”anti-chew” product. Consider a good doggie daycare program for two or three days a week to work out some of your dog’s excess energy. Dogs with separation anxiety tend to display behaviors that reflect a strong attachment to their owners. This includes following you from room to room, frantic greetings, and reacting anxiously to your preparation to leave the house. A change in the family’s schedule that result in your dog being left alone more often. Without realizing it, we often pay more attention to our dogs when they are misbehaving. Dogs who don’t receive much attention and reinforcement for appropriate behavior may engage in destructive behavior when their owners are present as a way to attract attention – even if the attention is “negative”, such as a verbal scolding. From a dog’s point of view, negative attention is better than no attention at all. Make sure that your dog gets plenty of positive attention everyday – playing, walking, grooming, or just petting. Ignore (as much as possible) bad behavior and reward only good behavior. Remember to reward your dog with praise and petting when he’s playing quietly with appropriate toys. Make his favorite off-limits chew objects unattractive or unavailable to him. Use aversives on objects that cannot be put away. Teach your dog a “drop it” command so when he does pick up an off-limits object, you can use your command and praise him for complying. The best way to teach “drop it” is to practice having him exchange a toy in his possession for a tidbit of food. Practice “Nothing in Life is Free” with your dog. This gets your dog in the habit of complying with your commands and is a good way to make sure he gets lots of positive attention for doing the right things – so he won’t have to resort to being naughty just to get your attention. Some dogs are afraid of loud noises. Your dog’s destructive behavior may be caused by fear if the destruction occurs when he’s exposed to loud noises, such as thunderstorms, fire crackers, or construction sounds, and if the primary damage is to doors, doorframes, window coverings, screens or walls. You can work on your dog’s fear and reduce his stress using clicker training. See our handout or attend an obedience class. Punishment is rarely effective in resolving destructive behavior problems and can even make them worse. Never discipline your dog after-the-fact. If you discover an item your dog has chewed even just a few minutes later, it is too late to administer a correction. Your dog doesn’t understand that, “I chewed those shoes an hour ago and that’s why I’m being scolded now.” People often believe their dog makes this connection because he runs and hides, or “looks guilty”. Dogs don’t feel guilt; rather they display appeasing postures like cowering, running away, or hiding when they feel threatened by an angry tone of voice, body posture, or facial expression. Your dog doesn’t know that he’s done something wrong; he only knows that you’re upset. Punishment after-the-fact will not only fail to eliminate the undesirable behavior, but my also provoke other undesirable behaviors. Crate training your dog may take some time and effort, but can be useful in a variety of situations. If you have a new dog or puppy, you can use the crate to limit his access to the house until he learns all the house rules, such as what he can and can’t chew and where he can and can’t eliminate. A crate is also a safe way of transporting your dog in the car, as well as a way of taking him places where he may not be welcome to run freely. If you properly train your dog to use the crate, he will think of it as his safe place and will be happy to spend time there when needed. Always provide water for your dog anytime he is in the crate. Spill proof bowls or bowls that attach to the kennel gate work best. Crates may be plastic (often called “flight kennels”) or collapsible, metal pens. Collapsible fabric kennels are designed for use when the owner is present and may not contain a dog for long periods while unsupervised. Crates come in different sizes and can be purchased at most pet supply stores. Your dog’s crate should be large enough for him to stand up and turn around in. Crate training can take days or weeks, depending on your dog’s age, temperament and past experiences. It’s important to keep two things in mind while crate training; one, the crate should always be associated with something pleasant; and two, training should take place in a series of small steps – don’t go too fast. Put the crate in an area of your house where the family spends a lot of time, such as the family room. Put a soft blanket or towel in the crate. Bring your dog over to the crate and talk to him in a happy tone of voice. Make sure the crate door is securely fastened open so it won’t hit your dog and frighten him. To encourage your dog to enter the crate, drop small food treats near it, then just inside the door, and finally, all the way inside the crate. If he refuses to go all the way in at first, that’s okay – don’t force him to enter. Continue tossing treats into the crate until your dog will walk calmly all the way into the crate to get the food. If he isn’t interested in treats, try tossing a favorite toy in the crate. This step may take a few minutes or as long as several days. Once your dog is standing comfortably in the crate to eat his meal, you can close the door while he’s eating. At first, open the door as soon as he finishes his meal. With each successive feeding, leave the door closed a few minutes longer, until he’s staying in the crate for 10 minutes or so after eating. If he begins to whine to be let out, you may have increased the length of time too quickly. Next time, try leaving him in the crate for a shorter time period. If he does whine or cry in the crate, it’s imperative that you not let him out until he stops. Otherwise, he’ll learn that the way to get out of the crate is to whine and he’ll keep doing it. After your dog is eating his regular meals in the crate with no sign of fear or anxiety, you can confine him there for short time periods while you’re home. Call him over to the crate and give him a treat. Give him a command to enter, such as, “kennel up.” Encourage him by pointing to the inside of the crate with a treat in your hand. After your dog enters the crate, praise him, give him the treat and close the door. Sit quietly near the crate for five to 10 minutes and then go into another room for a few minutes. Return, sit quietly again for a short time, then let him out of the crate. A crate isn’t a magical solution. If not used correctly, a dog can feel trapped and frustrated. For example, if your dog is crated all day while you’re at work and then crated again all night, he’s spending too much time in too small a space. Other arrangements should be made to accommodate his physical and emotional needs. Also, remember that puppies under 6 months of age shouldn’t stay in a crate for more than three or four hours at a time. They can’t control their bladders and bowels for longer periods. If your dog whines or cries while in the crate at night, it may be difficult to decide whether he’s whining to be let out of the crate, or whether he needs to be let outside to eliminate. If you followed the training procedures outlined above, your dog hasn’t been rewarded for whining in the past by being released from his crate. Try to ignore the whining. If your dog is just testing you, he’ll probably stop whining soon. Yelling at him or pounding on the crate will only make things worse. If the whining continues after you’ve ignored him for several minutes, use the phrase he associates with going outside to eliminate. If he responds and becomes excited, take him outside. This should be a trip with a purpose, not play time. If you’re convinced that your dog doesn’t need to eliminate, the best response is to ignore him until he stops whining. Do not give in, otherwise you’ll teach your dog to whine loud and long to get what he wants. If you’ve progressed gradually through the training steps and haven’t done too much too fast, you will be less likely to encounter this problem. If the problem becomes unmanageable, you may need to start the crate training process over again. Attempting to use the crate as a remedy for separation anxiety will not solve the problem. A crate may prevent your dog from being destructive, but he may injure himself in an attempt to escape from the crate. Separation anxiety problems can only be resolved with counter-conditioning and desensitization procedures. Living with a dog can be beneficial to children. Dogs can enhance children’s self-esteem, teach them responsibility and help them to learn empathy. However, children and dogs may not always automatically start off with a wonderful relationship. Parents must be willing to teach the dog and the child acceptable limits of behavior in order to make their interactions pleasant and safe. Time and energy: Puppies require a lot of time, patience, training and supervision. They also require socialization in order to become well-adjusted adult dogs. This means they need to be taken places and exposed to new things and new people. If you have a young child who already requires a lot of care and time, you should ask yourself if you will you have enough time to care for a puppy as well. Safety: Puppies, because they’re babies, are fragile creatures. A puppy may become frightened, or even injured, by a well-meaning, curious child who wants to constantly pick him up, hug him or explore his body by pulling on his tail or ears. Rough play: Puppies have sharp teeth and claws with which they may inadvertently injure a small child. Puppies also tend to jump up on small children and knock them down. All interactions between your child and puppy will need to be closely supervised in order to minimize the chances of injuries. Advantages of getting an adult dog: Adult dogs require less time and attention once they’ve adjusted to your family and household routine, although you’ll still need to spend time helping your new dog with the transition to his new home. You can better gauge how hardy and tolerant an adult dog will be of a child’s enthusiasm and you can work with your local animal shelter to adopt a dog that has previously lived with children. As a general rule, if your child is under 6 years old, it’s best to adopt a dog that’s over 2 years old. Although puppies can be a lot of fun, and it’s exciting and rewarding to help them grow into wonderful companions, they do require significantly more time to train and supervise than an adult dog. Size: Very small breeds of dogs, such as toy poodles or chihuahuas, may not be good choices for a young child. These dogs are fragile and may become easily injured when around rambunctious children. They also tend to be more easily frightened by a lot of activity and noise. Frightened dogs may snap or bite in order to protect themselves. Larger dogs or sturdier small breeds, like pugs or beagles, are often better able to tolerate the activity, noise and rough play that is an inevitable part of living with children. Breed type: Some of the sporting breeds, such as labradors and golden retrievers, can make good pets for families with children. Breeds that have been selected for protective behavior, such as chows and rottweilers, are not usually recommended. It’s sometimes difficult for this type of dog to comfortably tolerate the many comings and goings of children and their friends who may be perceived as territorial intruders. Herding breeds, such as border collies and shepherds, are inclined to “herd” children, chasing and nipping at their heels. Temperament: While generalizations can be made about specific dog breeds, it is just as important to consider a dog’s individual temperament. A dog’s personality is shaped by both past experiences and genetics. It’s unrealistic to expect a child, regardless of age, to have sole responsibility of caring for a dog. Dogs need basic things like food, water and shelter, but they also need to be played with, exercised and trained on a consistent basis. Teaching a dog the rules of the house and helping him become a good companion is too overwhelming for a young child. While responsible teenagers may be up to the task, they may not be willing to spend an adequate amount of time with the dog, as their desire to be with their friends usually takes over at this age. If you’re adopting a dog “for the kids,” you must be prepared and willing to be the dog’s primary caretaker. It's safest for both your child and puppy if your child is sitting down whenever he wants to hold the puppy. Puppies are squirmy and wiggly and may easily fall out of a young child's arms and be injured. If held insecurely, a puppy may become frightened and snap or nip in response. Children tend to become somewhat fearful and anxious when a dog tries to take a treat from their hand. This causes them to jerk their hand away at the last second. The dog may then jump up or lunge to get the treat, which may result in the child being knocked down. Have your child place the treat in an open palm, rather than holding it in his fingers. You may want to place a hand underneath your child's hand to help guide him. Children run with quick, jerky movements and have high-pitched voices. These actions are highly stimulating to a dog. Consequently, your dog may respond by chasing or jumping up on your child. Encourage your child to play quietly around the new dog until both become more comfortable with each other. Your dog also needs to learn which behaviors are appropriate and which are not. It’s helpful to teach your dog a “leave it” command that you can use when play gets too rough. Taking an obedience class together is a good way to teach your dog to respond to commands. Punishing your dog for inappropriate behavior will not help. If he learns that being around children always results in “bad things” happening to him, he may become defensive in their presence. If, and only if, you catch your dog chewing on something he shouldn't, interrupt the behavior with a loud noise, then give him an acceptable chew toy and praise him lavishly when he takes the toy in his mouth. Don't give your dog objects to play with that could cause confusion, such as old socks, old shoes or old children's toys that closely resemble items that are off limits. He can't tell the difference! If your dog is growling or snapping at your child for any reason, the situation needs IMMEDIATE attention. Punishing your dog is likely to make matters worse. DOES YOUR DOG’S ability to escape from the back yard have you convinced that he’s nothing less than a “Hairy Houdini”? Your never-ending attempts to keep your pet confined to your yard may seem comical at times, but every escape opens up the possibility of tragic consequences. If your dog is running loose, he’s in danger of being hit by a car, injured in a fight with another dog, or hurt in any number of other ways. You’re also liable for any damage or injury your dog may cause, and you may be required to pay a fine if he’s picked up by an animal control agency. To prevent escapes, you’ll need to find out how your dog is getting out of the yard and, more importantly, why he’s so determined to get out. He is a particularly active type of dog (like the herding or sporting breeds) who needs an active “job” in order to be happy. He visits places after each escape that provide him with interaction and fun things to do. For example, he may go play with a neighbor’s dog or visit the local school yard to play with the children. Walk your dog daily. It’s good exercise, both mentally and physically (for both of you). Take an obedience class with your dog and practice what you’ve learned every day. Provide interesting toys (Kong®-type toys filled with treats or “busy-box” toys) to keep your dog busy when you’re not home. If you must be away from home for extended periods of time, take your dog to work with you or to a “doggie day care center,” or ask a friend or neighbor to walk your dog. Dogs become sexually mature at around six months of age. Like a teenager first feeling the surge of hormones, an intact male dog has a strong, natural drive to seek out females. As you can imagine, it can be difficult to prevent an intact dog from escaping when his motivation to do so is very high. Have your male dog neutered. Studies show that neutering will decrease sexual roaming in about 90 percent of cases. If an intact male has established a pattern of escaping, he may continue to do so even after he’s neutered, which is even more reason to have him neutered as soon as possible. Have your female dog spayed. If your intact female dog escapes your yard while she’s in heat, she’ll probably get pregnant (and she could be impregnated even if she stays in your yard). Millions of unwanted pets are euthanized every year. Please don't contribute to the pet overpopulation problem by allowing your female dog to breed indiscriminately. Your dog may be escaping out of fear, especially if he's exposed to loud noises, such as thunderstorms, firecrackers, or construction sounds. Identify what is frightening your dog and desensitize him to it. You may need to seek out the help of a professional trainer, or talk to your veterinarian about anti-anxiety medications that might help your dog while you work on behavior modification. Keep your dog indoors if there's any chance he may encounter the fear stimulus outside. You can even mute outside noises by creating a comfortable spot in a basement or windowless bathroom and turning on a television, radio, or loud fan. Provide a "safe place" for your dog. Observe where he likes to go when he feels anxious, then allow access to that space, or create a similar space for him to use when the fear stimulus is present. He displays other behaviors that reflect a strong attachment to you, such as following you around, greeting you wildly, or reacting anxiously to your preparations to leave. Your family has experienced the death or loss of a family member or another family pet. Assuming your dog has been correctly diagnosed as suffering from separation anxiety, the problem can be resolved using counterconditioning and desensitization techniques. Some dogs jump fences, but most actually climb them, using some part of the fence to push off from. A dog may also dig under the fence, chew through the fence, learn to open a gate, or use any combination of these methods to get out of the yard. Knowing how your dog gets out will help you to modify your yard. But until you know why your dog wants to escape and you can decrease his motivation for doing so, the recommendations below won't be nearly as effective. For climbing/jumping dogs: Add an extension to your fence. It's not so important that the extension make the fence much higher, as long as it tilts inward at about a 45-degree angle. Be certain there are no structures placed near the fence, such as a table or chair or dog house, that your dog could use as a springboard to jump over the fence . Never chain or otherwise tether your dog to a stationary object as a means of keeping him confined. Tethering is not only cruel, but it also leads to aggressive behavior in dogs. Never correct your dog after he's already left the yard. Dogs associate punishment with what they're doing at the time they're punished. Punishing your dog after the fact won't eliminate the escaping behavior, but will probably make him afraid to come to you. Never correct your dog if the escaping is related to fear or is due to separation anxiety. Punishing a fearful response will only make your dog more afraid and make the problem worse. In addition, avoid inadvertently reinforcing a fearful behavior­ such as by petting a frightened dog and saying, "It's okay." You must also give your dog less reason to escape and make it more difficult for him to do so. Ultimately, that is how you'll put a permanent stop to that "Hairy Houdini" act. If your dog’s “talkative nature” has created tension with your neighbors, then it’s a good idea to discuss the problem with them. It’s perfectly normal and reasonable for dogs to bark from time to time, just as children make noise when they play outside. But continual barking for long periods of time is a symptom of a problem that needs addressing—from the perspectives of your neighbors and your dog. First, determine when and for how long your dog barks and what causes him to bark. You may need to do some clever detective work to obtain this information, especially if the barking occurs when you’re not home. Ask your neighbors what they see and hear, drive or walk around the block and watch and listen for a while, or start a tape recorder or video camera when you leave for work. With a little effort you should be able to find out which of the common problems discussed below is the cause of your dog’s barking. He’s a particularly active type of dog (like the herding or sporting breeds) who needs to be occupied to be happy. When you have to leave your dog for extended periods of time, take him to a “doggie day care center,” hire a pet sitter or dog walker, or have a trusted friend or neighbor walk and play with him. Your dog may be barking to guard his territory if: The barking occurs in the presence of "intruders," which may include the mail carrier, children walking to school, and other dogs or neighbors in adjacent yards. Your dog's posture while he's barking appears threatening-tail held high and ears up and forward. You've encouraged your dog to be responsive to people and noises outside. Teach your dog a "quiet" command. When he begins to bark at a passerby, allow two or three barks, then say "quiet" and interrupt his barking by shaking a can filled with pennies or squirting water at his mouth with a spray bottle or water squirt gun. His surprise should cause him to stop barking momentarily. While he's quiet, say "good quiet" and pop a tasty treat into his mouth . Remember , the loud noise or water squirt isn't meant to punish him; rather it's to distract him into being quiet so you can reward him. If your dog is frightened by the noise or squirt bottle , find an alternative method of interrupting his barking (perhaps throw a toy or ball near him). Desensitize your dog to the stimulus that triggers the barking. Teach him that the people he views as intruders are actually friends and that good things happen to him when these people are around. Ask someone to walk by your yard, starting far enough away so that your dog isn't barking, then reward quiet behavior and correct responses to a "sit" or "down" command with special treats such as little pieces of cheese. As the person gradually comes closer, continue to reward your dog's quiet behavior. It may take several sessions before the person can come close without your dog barking. When the person can come very close without your dog barking, have him feed your dog a treat or throw a toy for him. If your dog barks while inside the house when you're home, call him to you, have him obey a command such as "sit" or "down," and reward him with praise and a treat. Don't encourage this type of barking by enticing your dog to bark at things he hears or sees outside. Remember to pay attention to your dog when he's being quiet too, so that he comes to associate such behavior with attention and praise. Have your dog spayed or neutered to decrease territorial behavior . The barking occurs when he's exposed to loud noises, such as thunderstorms, firecrackers, or construction noise. Your dog 's posture indicates fear-ears back, tail held low. Identify what's frightening your dog and desensitize him to it. You may need professional help with the desensitization process. Talk to your veterinarian about anti-anxiety medication while you work on behavior modification. During thunderstorms or other frightening times, mute noise from outside by leaving your dog in a comfortable area in a basement or windowless bathroom, and turn on a television, radio, or loud fan. Block your dog's access to outdoor views that might be causing a fear response by closing curtains or doors to certain rooms. Avoid coddling your dog so that he doesn't think that he is being rewarded for his fearful behavior. The barking occurs only when you're gone and starts as soon as, or shortly after, you leave. Your dog has recently experienced a change in the family's schedule that means he's left alone more often; a move to a new house; the death or loss of a family member or another family pet; or a period at an animal shelter or boarding kennel. There are several types of bark collars on the market, and we generally don't recommend them. The main drawback of any bark collar is that it doesn't address the underlying cause of the barking . You may be able to eliminate the barking, but symptom substitution may occur and your dog may begin digging or escaping, or become destructive or even aggressive. A bark collar must be used in conjunction with behavior modification that addresses the reason for the barking , as outlined above . You should never use a bark collar on your dog if his barking is due to separation anxiety or fears or phobias because punishment always makes fear and anxiety behaviors worse. If aggression does occur however, it is important to know that most aggressive problems between cats can be successfully resolved. To do this, you may need help, both from your veterinarian and from an animal behavior specialist who is knowledgeable in cat behavior. Cats with aggression problems may never be best friends, but can often learn to mutually tolerate each other with minimal conflict. Working with aggression problems between family cats will take time and commitment from you. Don’t give up without consulting the appropriate experts. fight again or walk away. Cats don’t usually severely injure one another this way, but you should always check for puncture wounds which are prone to infection.